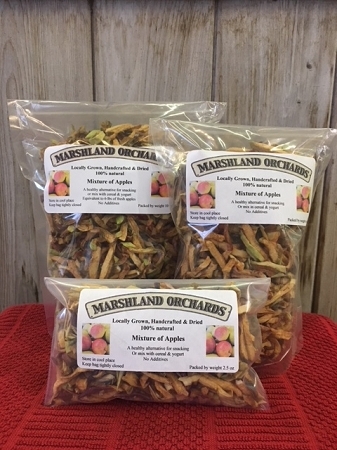 Marshland Orchards locally grown 100% natural mixture of apples. A healthy alternative for snacking or great with cereal or yogurt. No additives. Store in cool place. Keep bag tightly closed.